If it is one thing that Hillsboro residents are looking for in a dealership its likely high quality customer service and a value unlike any other. Thankfully, they can be certain to find such service at Keene DCJ in Keene, NH. When it comes to a SUV that provides great features and a style unlike any other vehicle on the market, then the new Jeep Cherokee has exactly what you’re looking for. To make things better, it also can be customized to each driver’s preference, making the outfitted completely to the driver’s needs. With plenty of extra features and accessories that can be added, there isn’t anything that can’t be done to make sure that this vehicle will meet the needs of our future drivers, leaving them satisfied. And keep in mind that if there is anything you have any questions about, please don’t hesitate to contact us. We’re always available to address any of your needs as soon as possible. Offering some of the best deals in the NH area on new and used cars, we take pride in making sure that our customers are nothing but pleased with our offerings and the value that we provide. It’s just one of the many ways we provide a positive shopping experience for our customers. Along with our commitment to customer satisfaction, we also have a large stock of used and new cars. This helps to ensure that we can assist any customer with their specific requirements. Hillsboro residents can expect nothing but great service and to find a vehicle that they are completely happy with when they visit our dealership. We’re firm believers that a customer’s interest comes first so we are always there to listen and help you make informative decisions on the vehicle that will be right for you and your family. Regardless of your needs, you can be confident to know that you are in good hands. Financing a Dodge, Chrysler, Jeep, or Ram is extremely helpful and is just as important as getting a deal on one too. 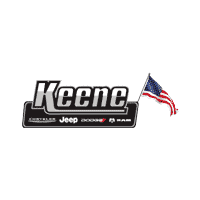 Keene DCJ is one of the few places that provides some of the best financing options around and will make sure you’re comfortable with your choices and meets your budgetary needs. To make things even easier, we have a variety of finance special offered to NH residents on our website. Not to mention, Keene DCJ also provides various incentives for buyers as well. Between our great financing specials, deals and great incentives, it’s almost impossible to leave without getting a great value on your vehicle. Finding a financing solution that fits your needs doesn’t have to be difficult. No matter what condition your credit is in, we will do our best to offer finance solutions that are manageable and meet your budget needs. Dependent on the amount of your down payment, our highly skilled team of financial experts will be able to come up with something so you can get the car you always wanted within reasonable means. Feel free to contact any of our financial experts with any questions you may have or start the process today by getting pre-approved simply by filling out our Finance Application today. Keene CDJ knows that routine maintenance will avoid potential costly repairs, which is why we have a service facility located right at our dealership. We’re happy to service the greater Hillsboro area and provide top quality service with our team of skilled mechanics with years of experience. For anyone who is looking to do the work themselves, they can be confident that our extensive stock of Jeep parts that are nothing but the highest quality and the reliability rivals anything from third party vendors. If there is ever a moment that you’re not sure of what part you need, we’re only a phone call away from a part specialist who can help you find exactly what you need. To make things easy, parts can even be ordered right on our website. For anyone who may think that they don’t have the time to do the work themselves they can easily fill out our Service Appointment form and we’ll take care of the work for you. Hillsboro residents can always expect to get their automotive needs addressed in a professional and courteous manner at Keene Dodge Chrysler Jeep RAM, conveniently located in Keene, WI. Between new and used cars, quality parts and dependable service, there isn’t a better alternative. Out of the many places to visit in NH, Hillsboro is definitely one that people should take a quick stop by. Made up of four villages (Hillsboro Upper, Lower, Bridge and Center Villages), as one can imagine, part in which the city got its name is from having so many hills in the area. Because of this great feature, Hillsboro can boast about its breathtaking scenery that can be viewed from just about anywhere throughout the villages. Between preserved arch stone ways, protected forests that are open to the public to hike and many other outdoor activities, Hillsboro offers quite a bit for the local adventurer. For more information about this location, visit the Town of Hillsboro website.